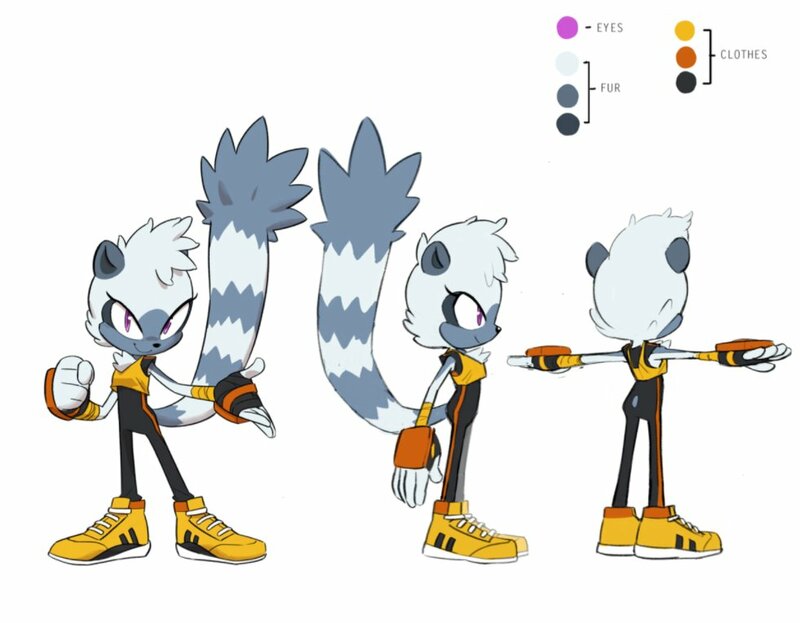 With the hype leading up to the big reveal of Sonic’s newest ally in the fight against Eggman, Tangle the Ring-Tailed Lemur, created by Ian Flynn and designed by Tyson Hesse, was accepted with excitement by the community. However that excitement was equally matched by curiosity, fans wanted to know more about this new character, and IGN delivered with an exclusive e-mail interview with IDW Associate Editor David Mariotte! Before we even had a name, we knew we wanted her to be like a lot of other great Sonic characters and have a special ability tied to one of her features. Think Tails or Knuckles. So we were brainstorming animals who could do cool stuff and a ring-tailed lemur who could use her tail alternately like a whip or like a fist was too cool to pass up! Throw in her scrappiness, she likes to ‘tangle’ with the bad guys, and you have an awesome character! So there you have it! Insight into the development process behind the newest character to join the IDW Sonic Universe! Although Mariotte could not answer whether Tangle will appear in future games or not, she seems a natural fit given the design process used to create her! You can easily see her racing across a zone swinging around and smashing Badniks with her prehensile tail! Whether she gets a chance to do so in future iterations of Sonic games or not, we can be sure this scrappy resistance fighter will be ready to tangle against Eggman’s forces along Sonic and friends when she debuts in issue #4 coming April 25th! What do you think of Tangle? Let us know in the comments below!